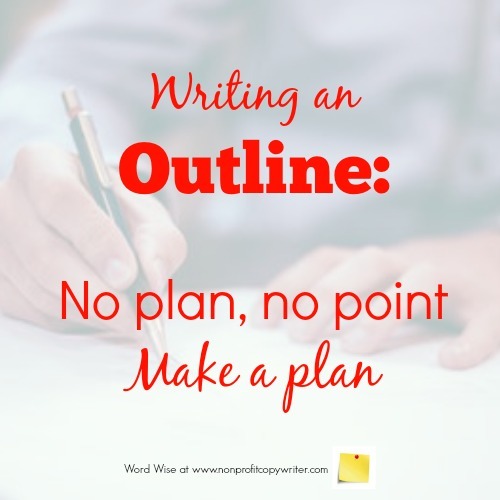 If you’re a writer, you need to know how to write an outline for articles and posts. Yes, you have an article idea. You’ve gathered plenty of information: facts, anecdotes, concepts, sources. You’ve studied and chosen some keywords. But even if you know where to begin, how can you know that your article idea is a good one? An outline is simply a plan. It’s a plan you follow as you write so that you make your point. You decide what kind of outline works for you for a particular project. Yours can be a detailed, beautifully formatted document with multiple points, sub-points, and sub-points to sub-points. Or it can be 3 words scribbled on the back of a napkin. Style matters less than simply having a plan. 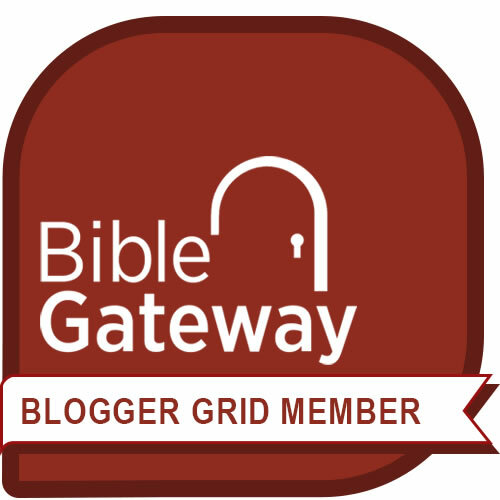 Introduction: give readers a simple, practical structure to use to write an outline for a quality article or blog post. Writing tip: if you can’t write this part of your outline right out the gate, start with step 2. I’ve found writing down the main points first can help me clarify the purpose of my article. 1. Introduction: give readers a simple, practical structure to use to write an outline for a quality article or blog post. Organize your material. What points do you have that support your main idea? List them and how you will make each point with a fact or statistic, a testimonial, an anecdote or example. Choose the points you want to make. Which points are strongest for your audience? What are your word count restrictions? You may need to discard some content and keep it for another piece. Arrange your points in order. You may choose the inverted pyramid approach, placing the strongest point at the beginning. In other scenarios, your points build upon each other in a cumulative effect. And in other cases, your points are modular, meaning each can stand alone. Flesh out each point with its supporting content: a story, fact, statistic, quote, example, or narrative. After all, that’s the goal in writing your piece, isn’t it? To make a point. Make a plan. 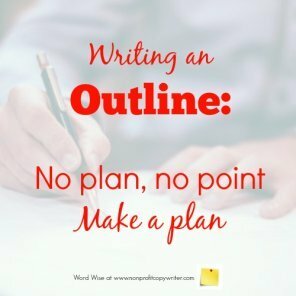 Write an outline. Writing Blogs vs. Writing Articles: Is There a Difference?